Beveridge & Diamond is pleased to announce that Savoy Magazine has recognized firm Chairman Ben Wilson (Washington, DC) as one of their "Most Influential Black Corporate Directors" for 2017. Ben currently sits on the Board of Directors at Northwestern Mutual Life Insurance Company, the Board of Trustees of Dartmouth College, and the Board of Governors of the District of Columbia Bar Association. Ben has been with B&D for over 20 years and was recently elected Chair of the Environmental Law Institute. He is a fellow of the American College of Environmental Lawyers. He received in 2016 the Charles Hamilton Houston Medallion of Merit from the Washington Bar Association and the Thurgood Marshall College Fund’s Thurgood Marshall Legacy Award. 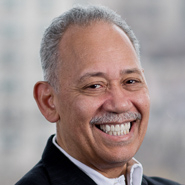 Ben established the African American General Counsel and Managing Partner Networks in 2012, and founded the Diverse Partners Network in 2008. He serves as an Adjunct Professor of Environmental Law at the Howard University School of Law and co-founded the Howard Energy and Environmental Law Society. He currently serves as the Court-Appointed Monitor for the Duke Energy coal ash spill remediation project and the Deputy Monitor for Emissions & Environmental in the Volkswagen AG emissions proceedings. Ben's recognition will be published in the magazine's Fall 2017 issue.